Most lack evidence of any health benefit — and some contain stimulants that could affect your heart. Of the nearly $37 billion Americans spend on dietary supplements each year, about two-thirds are for vitamins and minerals. The rest are pills, powders, and tinctures that contain various substances isolated from an array of sources — mainly plants but also animals and microorganisms. 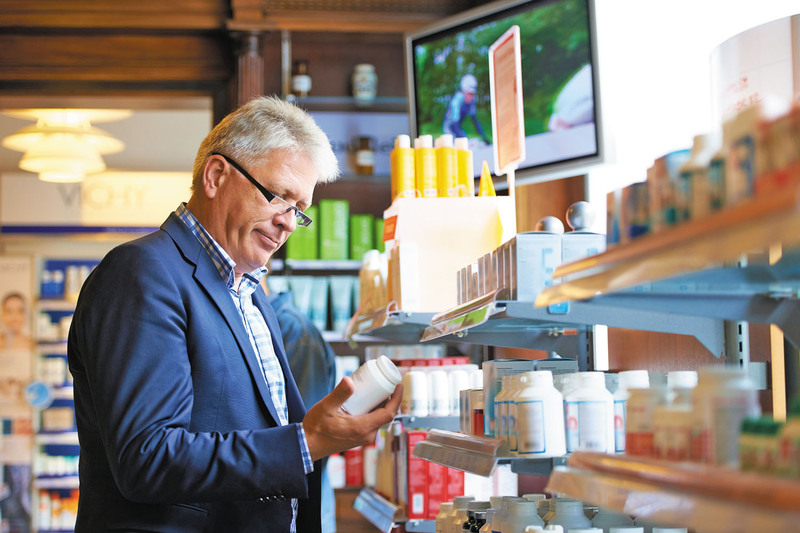 But the real reason the supplement industry is thriving dates back to a law enacted nearly 25 years ago, says Dr. Pieter Cohen, an associate professor of medicine at Harvard Medical School who studies dietary supplements. The Dietary Supplement Health and Education Act of 1994 defined supplements as foods, not drugs. That means they're not subject to the same regulations governing the quality and safety of prescription drugs. "Supplements can be sold and advertised as improving health without any evidence that they actually work in humans," says Dr. Cohen. "You'd think the law would create rules stating that health claims must be based on scientific evidence. But it's the exact opposite — the law protects manufacturers by allowing them to say things like 'may support heart health' even if there's not a single human trial to back up that claim." In fact, even when large, multimillion-dollar, government-sponsored clinical trials show that a particular supplement is not effective (as is the case for over-the-counter fish oil to prevent heart disease in healthy people), supplement companies are still allowed to list vague health claims on product labels, says Dr. Cohen. As a result, consumers end up buying products based on false promises. What's more, if a supplement does prove beneficial for a certain health problem, there's no guarantee that the product you buy at your local drugstore will have the same effect. The amount of the active ingredient found in supplements can vary dramatically — not just from brand to brand but from batch to batch. For example, red yeast rice supplements contain a substance called monacolin K, which is chemically the same as the active ingredient in the cholesterol-lowering drug lovastatin (Mevacor). But when Dr. Cohen and colleagues tested 28 different brands of red yeast rice from four mainstream retailers, they found widely variable amounts of monacolin K. Two brands had no detectable levels, while others contained amounts similar to that found in prescription lovastatin. Their study was published in the September 2017 European Journal of Preventive Cardiology. Dr. Cohen's most recent study looked at two dozen products promoted to help people lose weight or boost their athletic performance. They're available online and in retail stores that specialize in supplements. All were labeled as containing higenamine (also called norcoclaurine or demethylcoclaurine), a potentially harmful cardiovascular stimulant that was banned from sports by the World Anti-Doping Agency in 2017. Higenamine is derived from various plants, including the flowering lotus and a shrub known as heavenly bamboo. It's been studied in China for use in cardiac stress testing to simulate the effects of exercise when a person cannot walk on a treadmill. Given intravenously, higenamine can raise heart rate and cause breathlessness and dizziness. In addition to supplements that promise weight loss or improved athletic ability, you should also beware of those that claim to enhance sexual function. Hundreds of these contain undisclosed ingredients, including some that are identical or similar to prescription drugs such as sildenafil (Viagra). These "all natural" products can lead to dangerously low blood pressure levels in someone also taking nitrates, which are often prescribed for people with heart disease. In the 1990s, dietary supplements containing ephedra (derived from the Chinese herb ma huang) were widely marketed for boosting energy and weight loss. When combined with caffeine, ephedra does promote modest, short-term weight loss. But it contains chemicals that can constrict blood vessels, and studies linked ephedra use to high blood pressure, palpitations, and heart attacks. However, because the law required the FDA to prove that ephedra-containing products were unsafe, it took a decade to compile sufficient evidence. During that time, the agency logged 16,000 reports of injuries, 62,000 consumer complaints, and at least 155 deaths related to ephedra-containing products. Historically, the advice has been to tell your doctor about any about dietary supplements you may be taking. Instead, says Dr. Cohen, it makes more sense to ask your doctor if you should be taking any supplements. "For certain conditions, there's a clear role for them," he says. For older adults, examples include calcium for people who don't get enough in their diets, or vitamin B12 for those who have trouble absorbing that nutrient. If your doctor recommends a supplement, check the label and choose a brand that's certified by the United States Pharmacopeia or NSF International, two independent nongovernmental organizations. Ask the doctor: Is vinegar good for the arteries?